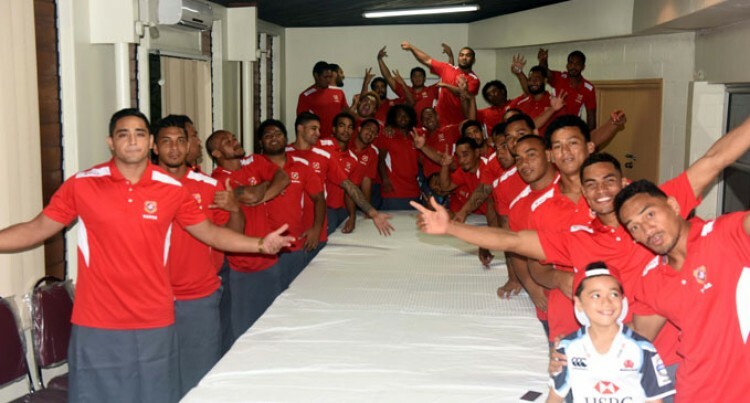 Exposing local players is top priority for Tonga A during the 2015 World Rugby Pacific Challenge which starts today. Tonga A team manager Manu Mataele said the management’s objective of giving Tonga-based players the opportunity to compete internationally and be up for consideration for the Ikale Tahi. “In the past, the team sent to previous competitions consisted largely of overseas-based players with the Ikale Tahi consisting almost completely of overseas-based players,”he said. “The team sent to last year’s tournament was 99 per cent overseas-based with only one player from Tonga. “We decided to change that this year because we saw that the local players were clearly being neglected and felt like they weren’t good enough to represent the country on the international stage. “Initially there was some disagreement with the Tonga Rugby Union about our decision to select a team almost entirely of locals. We reached an agreement and this team is largely Tongan-based with about three from Australia and five from New Zealand. Mataele revealed the Tongans’ goal was to win the tournament, which would benefit the Tongan campaign for the Rugby World Cup 2015. “We’re looking forward to the tournament and all the boys are very excited. Mataele called on the Tongan community to come out in numbers to support the team during the tournament. “We’re just asking that all of the Tongan community here to come out and support us. Tonga A will play neighbour, and old-time rival, Samoa A at 3pm this afternoon at the ANZ Stadium in Suva.